Prior to home inspections, I renovated homes. I have done everything from building a house from the foundation to simple bathroom redesigns. This background gives me plenty of knowledge and experience with home construction so that I can make sure that your house is safe and ready for you to live in or sell. Knowledgeable in all aspects of home construction, I will be sure to make sure that your home is safe from the floor beneath your feet to the roof above your head. Why Choose JCG Footprints LLC. Whether you’re buying or selling a home, be sure you get the quality inspection you need to make a confident decision. 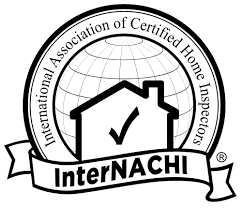 As a member of the International Association of Certified Home Inspectors (InterNACHI), I represent the best-trained and most highly qualifies inspectors in the business. I take the time to answer the questions so that the new homeowners understand the operational aspects of their home. Your home is probably the greatest investment you will ever make. Protect your investment and your family by hiring me for your home inspection. I bring my experience and expertise to every inspection I perform, and I will do my best for you. I am conscious of time management and I have a partner willing to share the inspection services with me, for those real estate agents who don’t have enough hours in their day. JCG Footprints Home Inspection Services offers a very comprehensive and complete visually inspection for the client who would like a thorough analysis of the major details of the home. It is an inspection of the home’s systems which caters to the client who is concerned not only with the systems that make the home habitable, but also safe.It provides a list of the many small items that may need attention after moving into the home. This visual home inspection includes over 300 items, from the foundation to the roof and all the major systems of the house including electrical, plumbing and heating/air conditioning. There was great communication before the appointment and they arrived at the appointment time. Jeffrey Detrick was very complete in his inspection. I appreciated that he allowed me to watch him and ask questions along the way. There were many things that were new to me and he kindly explained them. He was generous with his time. The report was excellent, complete and had color photos. He was so outstanding that the seller’s agent wants to use him in the future! I will certainly recommend him to other buyers or sellers. A good start for my purchase of a new home. Thanks! We needed our inspection done on short notice and they they changed their schedule to accommodate us even with it it being a holiday week. Jeff was very professional and courteous. Jeff was really easy to talk with about the mold assessment. He worked with my schedule, even though he had to crawl into attic at worst time of day.